The Parents' Association's biggest fundraiser and largest volunteer-run event of the year- so THANK YOU for your interest and willingness to help out! Click the sign up box next to the task(s) and/or day(s) and time(s) you can help, click Submit and Sign Up. If there is no time listed, then the chair of the "department" will contact you with the specifics. Not sure where to start? Our PA Volunteer Coordinator can help!Email [email protected]. You will be contacted by a Holiday Shops representative shortly after you sign up. If you are interested in learning more about becoming a Lead for one of these responsibilities, let us know! Such as treasury, set-up/take-down, liaisons & so much more! Help stuff our Holiday Shops bags with helpful fliers pertaining to the Show. I can do it if I can have a shop that doesn't need help during the workday. Sell and sort raffle tickets. Assist operations with setting up the gyms & clamp lighting for Holiday Shops. 8am-3pm. Assist with setting up individual booths with tables, chairs, lattices, skirting, etc. This also includes assisting with shop set-up. I can come in the morning. At the conclusion of the event, help pack and store items for the next Holiday Shops. Great opportunity for dads, working parents, MS and US students to participate with this fundraiser. Assist vendors with unloading and setting up their booths. 10/29/2019 (Tue) Assist a vendor with their booth set-up. 10/30/2019 (Wed) Assist a vendor with their booth set-up. Help in a shop when a liaison needs assistance. You may be helping w/sales, or providing a break for the vendor. A liaison will contact you prior to the show to confirm times. 11/02/2019 (Sat) A vendor's booth. "Faces of USM" are photos of our students, professionally taken by Shoot the Moon Photography, that are available for purchase for a nominal fee. 100% of the proceeds are donated to Holiday Shops. Check in at the volunteer booth. Take tickets, payment, and greet guests of Holiday Shops. 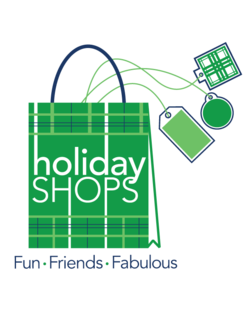 A few people are needed to help create the ambiance and festive atmosphere of Holiday Shops. You don't have to be creative, just willing to "roll up your sleeves". Our decorations Chair, Stephanie Gardner, will contact you with more details. I can help morning (8:30-11:30). Preview Party night, after auction ends-Two people needed to help break down; one person needed to bring auction items up front, one person needed to hand items to winners at check-out. 5-6 volunteers needed for Preview Party Set up. Help is needed after the Preview Party. Feel free to jump in to help after the party even if you didn't sign up! We are asking for several people to drop Holiday Shops fliers off in a variety of businesses. This can be done at your leisure during the two weeks prior to Holiday Shops. 10/05/2019 (Sat) Distribute Holiday Shops flyers at local businesses on days/times convenient for you. Assist Sendiks, our Cafe vendor, with pre-paid lunch distribution. The lounge provides complimentary snacks, coffee, teas and hot cider to the vendors; this is a special USM touch that the vendors really appreciate! Vendor Hospitality Co-chairs will contact you with drop-off details. 10/30/2019 (Wed) Vendor Lounge- You will be contacted with drop-off details and location.